Apollon Telchinios comes in the ravenous wind, howling through the trees and in-between our sky-piercing man-made structures. He is also the deadly rush of air following the sword stroke, or that which is displaced by the arrow (or the bullet, or slug), as it pierces through to its target. His is the vibration of the harp-strings which creates friction in the air, birthing brilliant sound into the world in the form of music, thus ordering the blessed Seasons in accordance with his song. I personally like to think of that heavy, thrashing sound beating against my ears during a tropical storm, or really, on any particularly windy coastal day. Living where I do, I have developed an intimate relationship with the wind, and thus with those aspects of Apollon which are embodied by it. However, it is not the coastal sea winds which have summoned me to write this piece today. But rather, the *uniquely North American phenomenon, known as the tornado. Who here kept up with the storm coverage coming out of Oklahoma in the last week or so? What a terrible disaster. That storm raged on for days, taking lives and destroying property as surely as any sea gale in antiquity could have. Tornadoes are terribly frightening to me. They seem to appear out of nowhere, bearing down like a divine finger, eager to smash whatever insignificant victim who happens to be in the way. They are flighty, whimsical, unpredictable and deadly manifestations of Apollon’s wind. They show no mercy, and can turn on a dime to destroy you, just when you think they might pass by, harmlessly. Let us imagine for a moment, our Lord Apollon, the calm center of the destructive vortex, descending from the heavens in beauty and ferocity. The winds spiral around him, a pure white cloud, whirling in his wrath. Then they touch the land, and a cloud of black debris raises up to orbit, and be embraced by the god’s divine wind. What potent and fitting imagery, in my opinion. What else could we call the force of a tornado, if not wrathful? 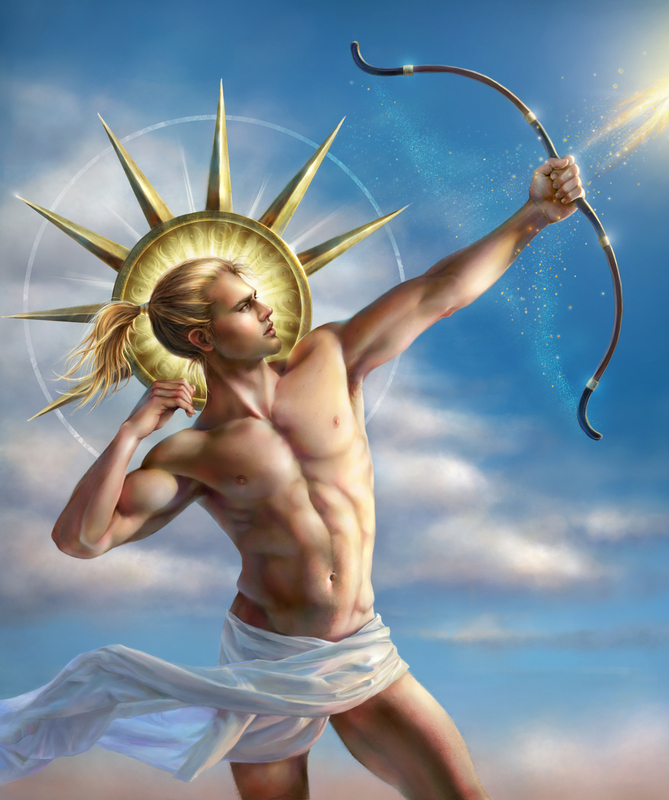 Whose power could be said to govern its effect, if not Apollon Telchinios, god of the glorious wind? And as the particularly dangerous storm made its way through South Texas a few nights ago (the tail end of the one which wreaked so much havoc in Oklahoma), many tornadoes were spotted in the skies above our cities and rural homes. One nearby town was razed by the wind, and several families were left without shelter. But, at least they have their lives, because the outcome may not be so favorable in the future. I can still remember the chill in my body at the very moment I felt the first crash of thunder. The wind whipped around to beat against the house quite forcefully that night. It was an amazing event to witness… my Lord riding that storm. 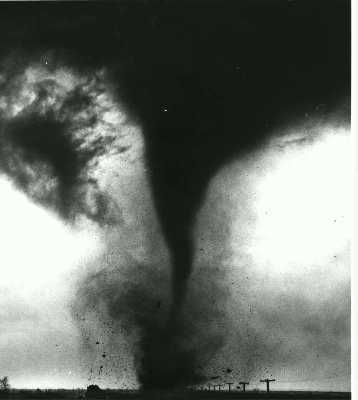 *Although tornadoes have been known to occur around the world, the vast majority of tornadoes on Earth occur in the so-called Tornado Alley of the Western United States. This entry was posted in Divine Communion, Epithets, Inspiration, Texas, UPG, Weather and tagged Apollon, howling, storm, Telchinios, tornado, wind, wrath. Bookmark the permalink. Lovely post, Apollon Telchinus is one of several epithets that I use regularly and have a close appreciation of (and gets many prayers and offerings too) having lived in areas with tropical storms, tornadoes, and my birth-home which has the warm winds of El Nino and the alternating frigid winds of La Nina. This has prompted me to write of him at times too, and to compose poems for him to honor this. So I completely get what you are saying, and enjoyed your post very much for that reason. I am happy you liked it. Apollon Telchinios is one of the first manifestations of the god that I can remember interacting with, and I still get the most thrill from interacting with him is this aspect. :D I have always had a great fondness for the wind. I think it is my second, the first is Lykeios ;) So I more regularly honor him as Lykeios, though Telchinios is a very close second lol.